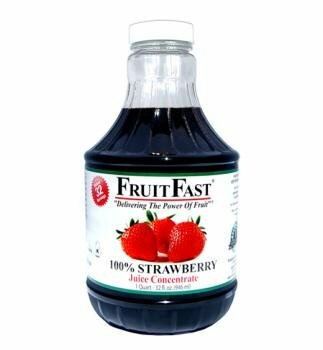 Our Strawberry Juice Concentrate adds a healty, refreshing taste to your favorite beverage, or as a stand alone drink. Promotes Eye Health | Supports Healthy Cardiovascular Function | Supports Healthy Joint Function | Naturally Low in Calories | Great Addition to Any Smoothie | Contains: Anthocyanins, Ellagitannins, Flavonols, Terpenoids, and Phenolic Acids. Ingredients: 100% Strawberry Juice Concentrate. PRICE INCLUDES SHIPPING BY US PRIORITY MAIL or UPS;This product must be refrigerated upon arrival. 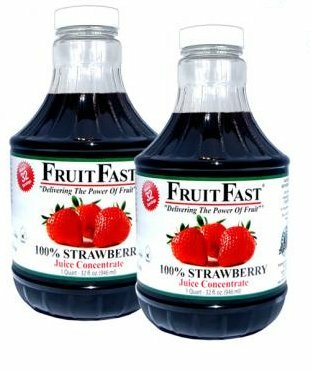 FruitFast concentrated juice will last 8 months in the refrigerator or can be safely frozen for more than a year. This product is freezer-friendly and can be frozen without worry of excess expansion or breakage. We take care not to expose our concentrates to prolonged periods of extreme heat, instead using a careful flash pasteurization process that presents a 100% natural, tasty juice. *These statements have not been evaluated by the Food and Drug Administration. This product is not intended to diagnose, treat, cure, or prevent any disease. Our Strawberry Juice Concentrate adds a healty, refreshing taste to your favorite beverage, or as a stand alone drink. Promotes Eye Health | Supports Healthy Cardiovascular Function | Supports Healthy Joint Function | Naturally Low in Calories | Great Addition to Any Smoothie | Contains: Anthocyanins, Ellagitannins, Flavonols, Terpenoids, and Phenolic Acids. Ingredients: 100% Strawberry Juice Concentrate. PRICE INCLUDES SHIPPING BY US PRIORITY MAIL or UPS; This product must be refrigerated upon arrival. FruitFast concentrated juice will last 8 months in the refrigerator or can be safely frozen for more than a year. This product is freezer-friendly and can be frozen without worry of excess expansion or breakage. We take care not to expose our concentrates to prolonged periods of extreme heat, instead using a careful flash pasteurization process that presents a 100% natural, tasty juice. *These statements have not been evaluated by the Food and Drug Administration. This product is not intended to diagnose, treat, cure, or prevent any disease. A delicious combination of fresh Strawberry and ripe Bananas. Made from real fruit ingredients, Tea Zone flavored concentrated syrups are perfect for making slushes, smoothies, juices, flavored teas, frozen yogurt, shaved ice, and even alcoholic cocktails. With a newly redesigned bottle equipped with its own pump dispenser, our syrups minimize product waste, increase dispensing accuracy, reduce dripping, save space, and allow for easy clean up! Strawberries, like other berries, are famous in the phytonutrient world as a rich source of phenols. Strawberries' unique phenol content may help support healthy heart function, blood vessel health and cellular replication. Strawberries are a great natural source of Iodine / Potassium iodide (KI). Iodine is a chemical element essential for the production of thyroid hormones that regulate growth and metabolism. Berries have recently been pinpointed as a leading source of compounds thought to produce health benefits for women, due to their high concentrations of phytoestrogens. Bursting with flavor, our pure freeze dried Strawberry powder concentrate captures all the natural taste and nutrition this remarkable berry has to offer. 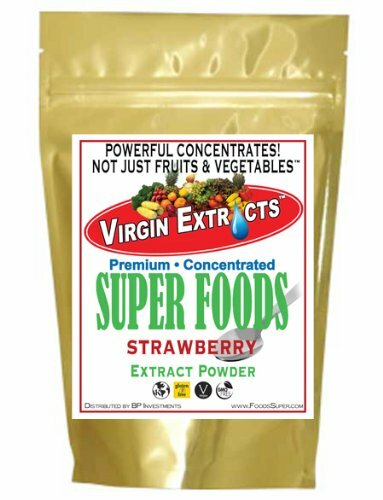 Our live organic Strawberry 4:1 Extract Powder Concentrate is the most potent form of Strawberry available. This product is 100% versatile and can be mixed with smoothies, yogurt, oatmeal, juice, cereal, ice cream and so much more. Every day, you set a new record for getting it all done. Refuel with V8 +Energy Diet Strawberry Lemonade. 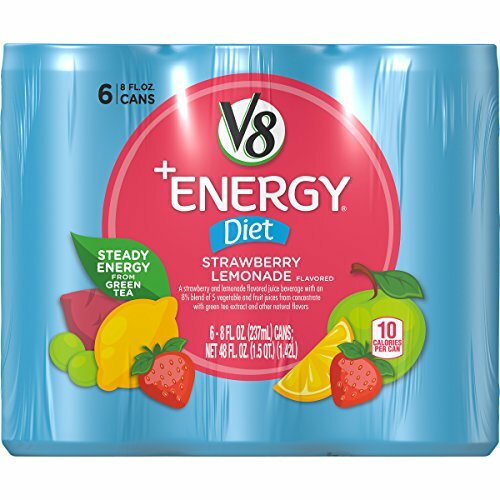 Naturally powered by green tea and infused with hints of sweet strawberries and tart lemon, V8 +Energy provides steady energy you can feel good about. With only 10 calories per can, it's rich in B vitamins and contains no added sugar. The perfect go-to beverage for the perfect pick-me-up ... so you can be your best self all day long. 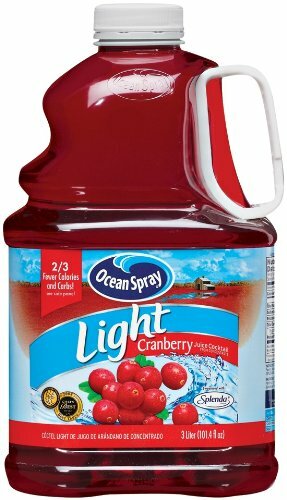 Ocean Spray Light Cranberry juice drink delivers the crisp, clean taste of cranberries but without all the calories. With a full serving (1/2 cup) of fruit and only 50 calories per serving, it tastes good and is good for you! Copyright © Wholesalion.com 2019 - The Best Prices On Strawberry Juice Concentrate Online.